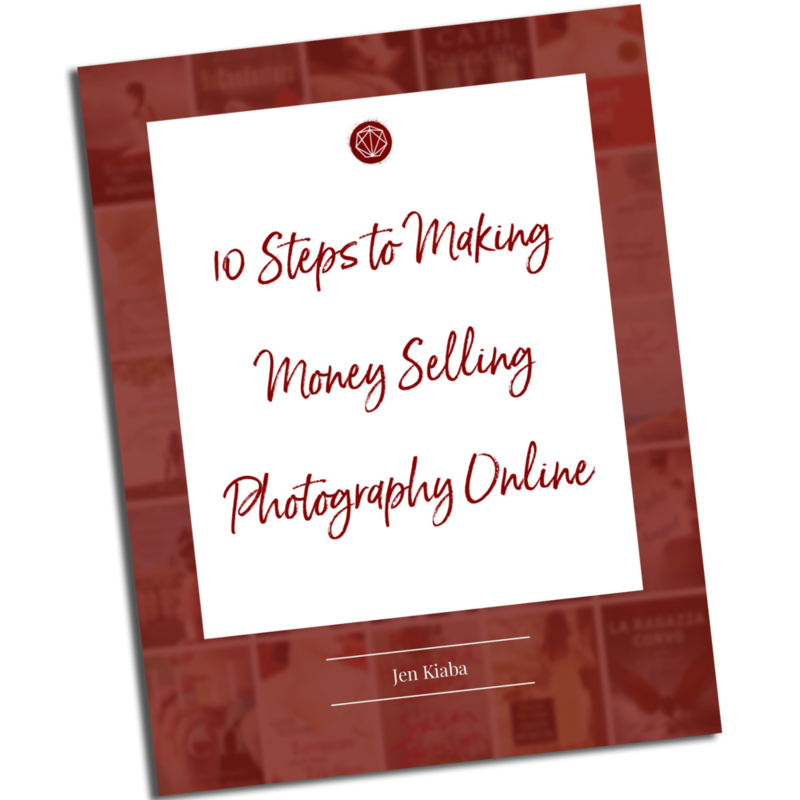 Have you ever wondered if there might be some extra money in selling the images that you take with your smartphone? Well, today I am taking you through five apps that allow you to make money with the images you might just have sitting around on your cellphone's camera roll! I don't know about you, but I don't always happen to have my DSLR on me at all times. But the fact is that sometimes I would rather not be bogged down by gear when I'm out and out in my day to day or trying to travel light. However, that doesn't exactly mean that I don't have a camera on me. In fact, you probably happen to have a camera on you at all times as well. That smartphone we all carry around with us all day is likely used more as a camera than it is as a telephone! Which means, we have a lot of selfies and food-grams piling up in our camera rolls. But, being the intrepid photographers that we are, there are likely some high-quality images in there as well! The question becomes what to do with those great smartphone images! Back in the early days of cell phone cameras, you were lucky to get a camera with even a few megapixels (a megapixel is a million pixels). Today, if you're rocking a newer model phone you could be getting up to 12 megapixels in your camera! According to some sources, once you get above about 10 megapixels, you can comfortably print a billboard. Which means, my friend, you potentially have the ability to license billboard-sized images from that smartphone! Now, some stock photography libraries will accept smartphone images. However other agencies would prefer not to receive images captures with cellphones. So the question becomes, what other avenues do you have to license those smartphone images? Well, here for your consideration I have provided a roundup up five Apps that allow you to upload and license your smartphone images within their platforms. A note: this roundup is not intended to be an endorsement of any of these Apps. I am a user of some but not all. The terms I am describing below are accurate to the best of my understanding at the time of writing. The terms could change at any time in the future. Before downloading and contributing to any of these Apps, make sure you read the agreements and are comfortable putting your images into their marketplaces! Foap is a mobile app which is for free on iOS and Android devices that allows you to upload your photos. Photo buyers searching for photos will find your images on the Foap Market where they can license them for $10 each. Photographers earn 50% of the royalties, so $5 per photo and the license is essentially a Royalty Free one. On the Foap site, they describe it as "no limits of usage for all social media and digital communications platforms and channels, globally, forever." Which means that you can sell the same image over and over again to many different brands, but once a brand purchases the rights to your image they only need to pay for it once. Now the license does specify social media and digital communications platforms and channels, so that likely means that there will be no print usage, such as book covers or billboards licensed here! But you could expect to see your images used on a brand's website or their social media. Contributors are responsible for keywording their own images via Tags, and each image can have between 5 - 100 tags. Foap also allows contributors to join "Missions", which are essentially briefs from brands and markets looking for the right image. Even Coca-Cola has issued "Missions" on the platform. Now $100 may not seem like a lot for a major brand use your image, even if it is just for their social media. However, for a little context, the site SproutSocial published some numbers on what Influencers are paid by brands to do a sponsored post, and they said that the overall average price was $271 per post. For Influencers with less than 1,000 followers, the average price dropped to $83 per post. Now, when we are working on a brief for a brand our status as Influencers is likely not taken into consideration, but I wanted to share some numbers to help us understand how brands value social media with posts and images that seem more organic and authentic. With this context, having a brand use your image for $100 seems as though it could be right in that ballpark without taking your "Influencer" status into consideration. Additionally, winning a Mission like this would give you the opportunity to say you have worked with a brand like Coca-Cola. Foap has partnerships with other platforms such as Getty, Adobe, Shutterstock, and Almay, and some of your photos could be selected to be available on these platforms. You can opt out, but only by contacting Foap. Payments are usually made via Paypal on a monthly basis. Clashot is a mobile app from Depositphotos that allows you to license and sell your smartphone photos on the Depositphotos' platform. According to the site, the sale price for these photos can vary, anywhere from $0.50 to $80, and photographers get royalties of about 44% from each photo sale. Images licensed through Clashot are subject to the Depositphotos licensing agreement, which is a Royalty Free non-exclusive agreement. Depositphotos also has partner sites, so depending on the platform through which the sale was made, royalties can differ. But according to Clashot, the average royalty is $0.44 from each sale, which is on par with many microstock sites. Contributors are responsible for their own keywording on Clashot. On Clashot, they have a briefing process as well, called Offers, which contributors are invited to participate in through the app. In reviewing the Offers section, it appears that Clashot sponsors most of them in order to help generate images based on market demand. However, there are also a few instances of brands such as Volkswagen and Budweiser sponsoring Offers as well. The prices paid for these offers tend to be significantly more than what the average royalty on Clashot is, however it is still much lower than what you might find on a brief from another app. So the upside of this app is that it lets you easily upload and sell your smartphone photography on a major stock photography platform. The downside is that, as far as prices go, you will be earning microstock level royalties. However if the alternative is that your photos would simply sit on your camera roll taking up space, why not earn the cost of the occasional cup of coffee through licensing? When your earnings on Clashot reach $50, contributors are able to withdraw the funds via Paypal or Skrill. EyeEm is an App and marketplace for photographers to connect with brands and sell their photos from their smartphone camera roll. A unique feature of the app is a built-in technology that scans your camera roll to let you know which images are the strongest, and which are recommended to upload to the marketplace. According to the site this scanning feature, called EyeEm Selects, protects your privacy while doing the scans. Another one of EyeEm's unique features is that they publish an in-app magazine to inspire its contributors and to help them improve their photography. As with other apps, EyeEm allows you to join Missions in order to connect with brands such as Apple, Converse, Spotify, and Canon to potentially license your photos. One feature that I find particularly appealing is that there is a companion desktop feature that allows for batch uploading, and when the web uploader EyeEm will automatically keyword your images and put them up for sale. Additionally, EyeEm partners with stock sites such as Getty in order to gain maximum exposure for their contributors. From a pricing standpoint, EyeEm sets the bar very high in my opinion. The cost for a social license starts at $20 and goes all the way up to $250 for what they call a Full License. The Full License includes editorial and commercial use, including advertising in all media (e.g. web, print, TV). It also allows for product packaging and incorporating into print or electronic products for resale or distribution. On the royalties side, contributors keep 50% of the sale price of their images and contributors are able to sell their photos on other platforms. Earnings need to be requested and are paid out via PayPal. Twenty20 is an iPhone-only App platform for selling your images, although those without iPhones are able to upload via their desktop platform. Most of the images on Twenty20 are non-exclusive, meaning you can sell your images elsewhere, and it appears that they have a flat fee structure. Photographers earn $2, or about 20%, from each regular sale. This means that on average the sale price of a photo is about $10. In order for brands and markets to find images, users must keyword them, either via the Desktop or iPhone app. Twenty20 allows users to license photos under both Editorial and Commercial licenses, which are explained more in-depth via this link. Their commercial licenses are standard Royalty Free licenses, however, they also allow for an Enhanced license for brands that would like to do larger print runs or want to use the images as a primary feature on products or book covers. As with other Apps, Twenty20 offers Challenges based on creative briefs, and new Challenges are posted daily. The winner of each Challenge is awarded 100% of the prize associated with that brief, which is usually in the $20 - $30 range. Photographers can also earn Commissions through the App, and are able to keep 100% of the commissioned price. Twenty20 pays on a monthly basis via PayPal. Snapwire is the final App and content platform that we will be looking at, and it is available via iPhone and Android. As with the other apps mentioned, Snapwire connects brands and marketers with custom content from photographers. Images can be taken with any digital camera, as long as the quality is high enough, and contributors can connect services like Dropbox and Google Drive to make transferring their image easy. Content is non-exclusive which means that photographers can submit their images to other platforms as well. Contributors can build their profile and submit to briefs called Challenges in order to get their work in front of potential buyers. Buyers can also commission work directly from Snapwire contributors, which is why building up a portfolio on the platform is beneficial. The marketplace on Snapwire is controlled by a process called leveling, wherein the contributors who have seen the most previous success will have the most visibility. This process helps the photography community stay engaged in the platform, and is said to encourage photographers to improve their photography at the same time. There are seven levels that a contributor can achieve on the Snapwire platform: Explorer, Shooter, Advanced, Expert, Elite, Pro, and Master. Each level has a unique perk and allows for a specific type of advancement on the platform. Learn more here. Buyers who purchase from Snapwire are given an "in-perpetuity Royalty Free license," which means that images may be used for any personal or commercial use. This includes use as prints, in magazines, blogs, advertising and promotional projects, websites, presentations, videos, brochures and for any medium. Contributors are responsible for their own keywording, however, they earn 70% from Requests and Challenges and 50% when a shot sell via a subscription. Because subscriptions can vary, the price per download and your payout will also vary. See more here. Payments are distributed monthly via a contributor's chosen payment method once the balance reaches $25. While selling microstock and Royalty Free smartphone images via apps may not turn into a full-time income, it can be a nice way to earn extra money on the side, connect with brands and develop your portfolio. Remember, if you are selling your images via a stock site like Trevillion, Arcangel or others that license via a Rights Managed model, you cannot submit those images to these App platforms. However, many of these App platforms are non-exclusive, meaning you could submit the same image to several of them. The upside of that is a brand may prefer one App over another and has the potential to see you on a platform you might not otherwise have a presence on. The downside is that you have the potential to dilute your personal brand if your images are available for license everywhere. One of the main value propositions that these app platforms offer to their buyers is that the photography is somewhat unique and fresh. So keep that in mind if you decide to license with several platforms. Have you worked with any of these platforms? If so, what has your experience been? Will you be exploring any of these platforms, or are the others that you are interested in? Hit up the comments and let me know! Good luck on your licensing journey! Five Fine Art Stock Ideas You Can Easily Shoot This Week!